Hi, it’s Natalie from Doodlecraft! 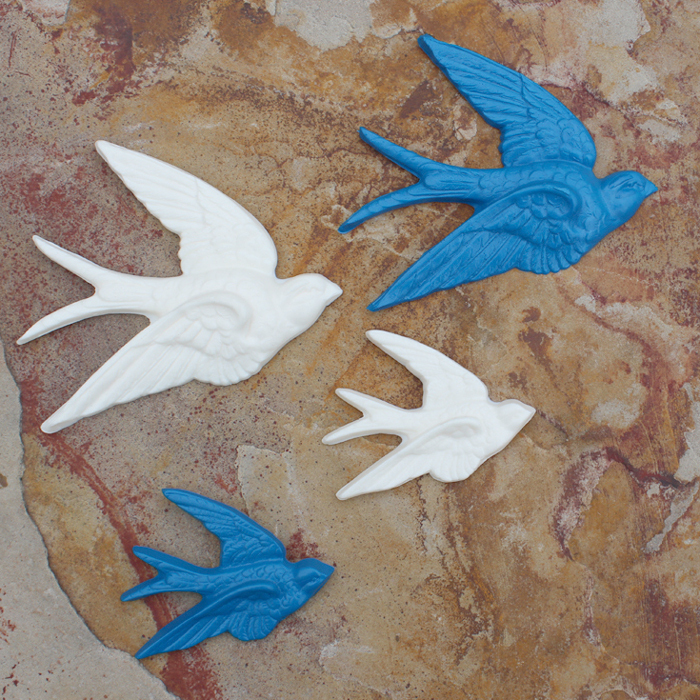 I have these adorable vintage burwood sparrow wall hangings. These sparrows are so cute and I love how they lay flat against the wall but are still dimensional. Well, my sister in law loved them too…here’s a simple way to duplicate vintage family heirlooms! Imagine any little figurines you love…small knick-knacks…etc. 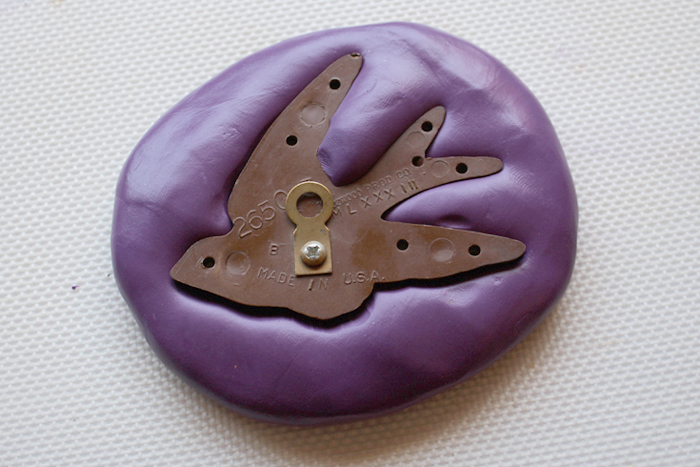 By making a silicone mold of the item and then casting it with resin they can be made over and over! 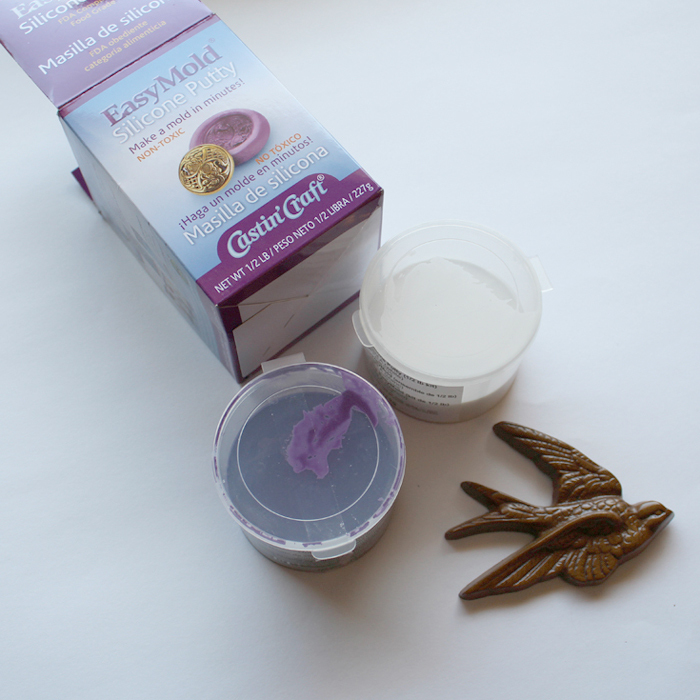 This is amazing and makes a silicone mold in minutes…it’s food safe too. Depending on the size of your project, you’ll need a varying amount. I use 1/2 lb for the small sparrow. It measures 4 by 3.5 inches. You need a putty mass large enough to give a good border and accommodate the thickness. Mix it together until it is all incorporated. Then flatten slightly to the size needed for the sparrow. 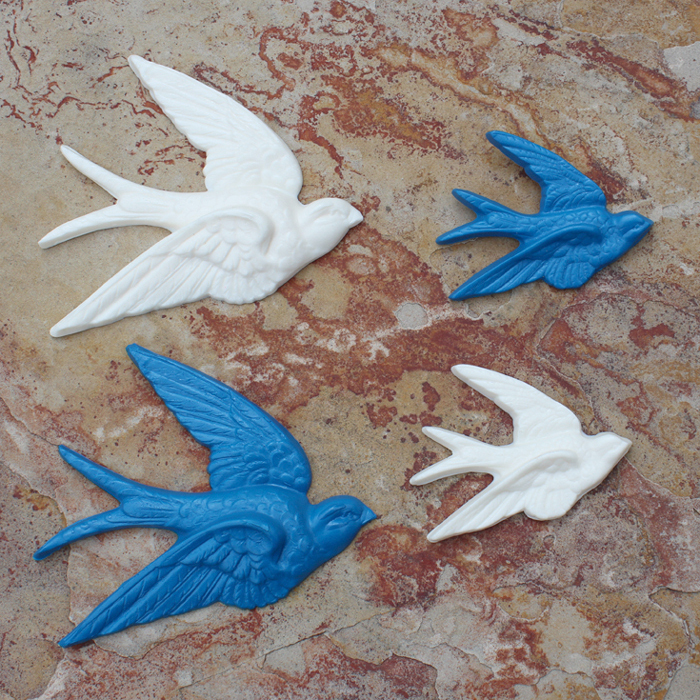 Place the sparrow on the top of the clay, face down. Press in gently. Do not press it all the way to the table. You want some cushion underneath to make a good mold. Let it harden completely; it only takes around 30 minutes. 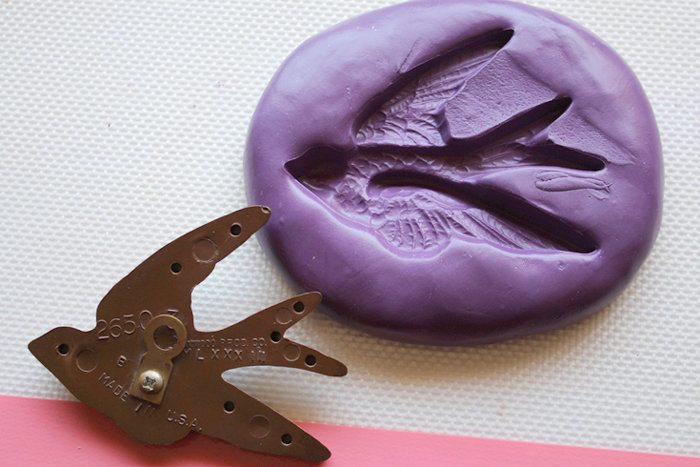 Then it easily lets your item pop out and the mold is ready for use! 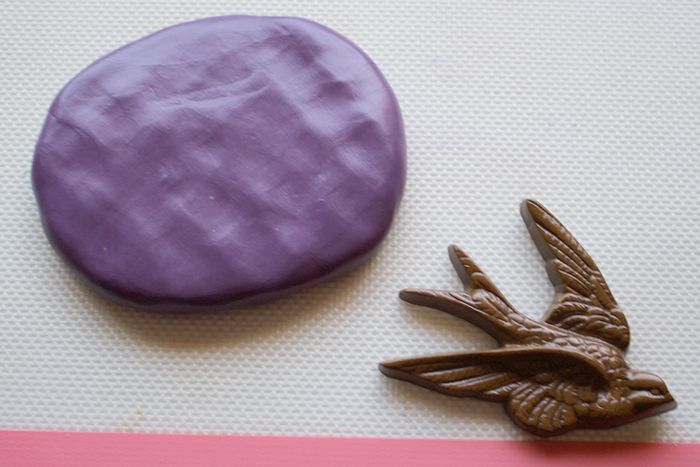 You could totally make a fancy heirloom chocolate right now! I used a 1 lb. box of silicone putty for the large sparrow that measures 5.5 by 5 inches. It’s a substantial size, but worked with ease. Now let’s cast another sparrow. 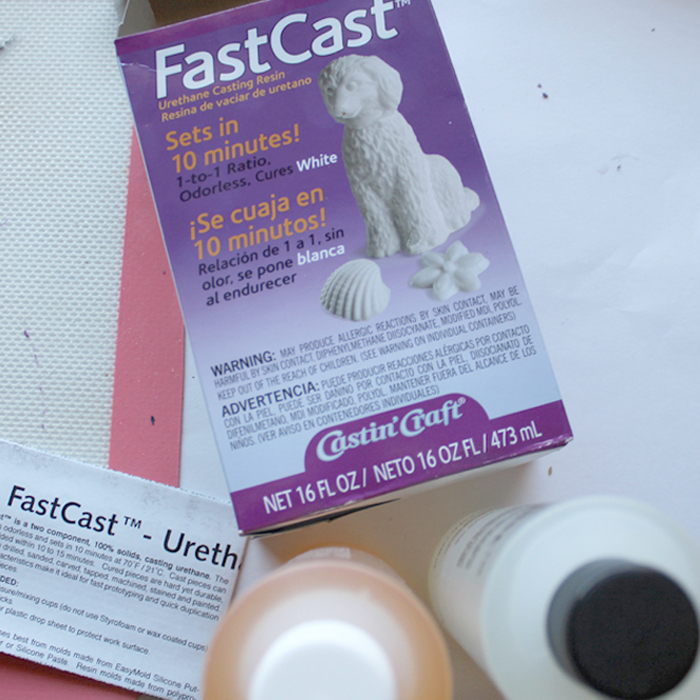 Fast Cast is my new best friend. It dries white and sets in 10 minutes. 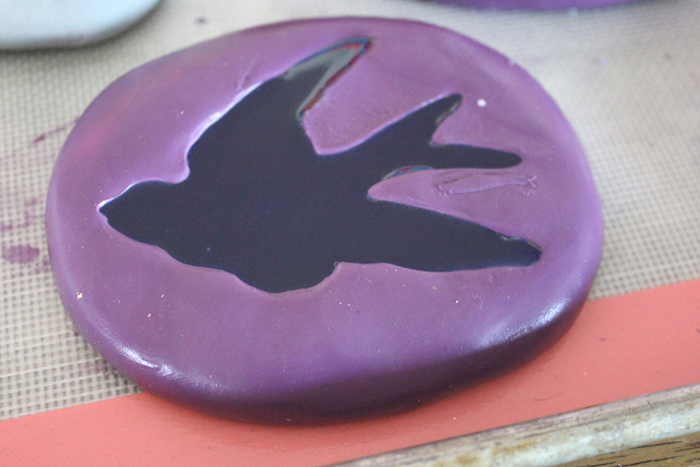 The ratio is one part casting resin, one part hardener. Read the directions thoroughly. It takes a 2 part mixing stage…and it has to be done quickly because it sets so fast. So make sure you are all set up before starting. You can literally watch it harden into a sparrow before your eyes! 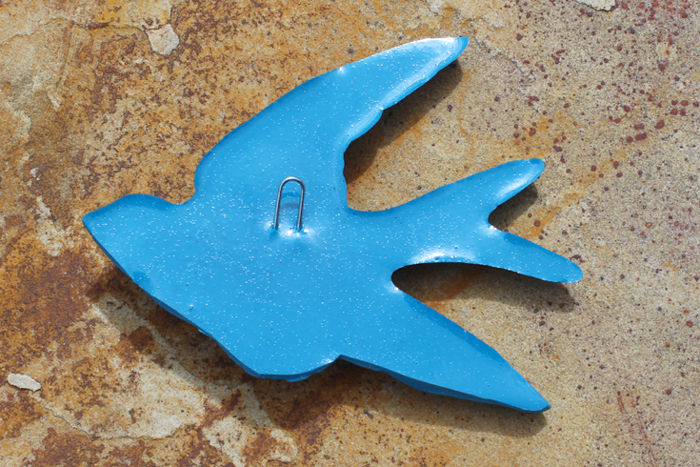 When it gets hard enough to hold it’s shape, you can insert a paper clip piece or wire for hanging. 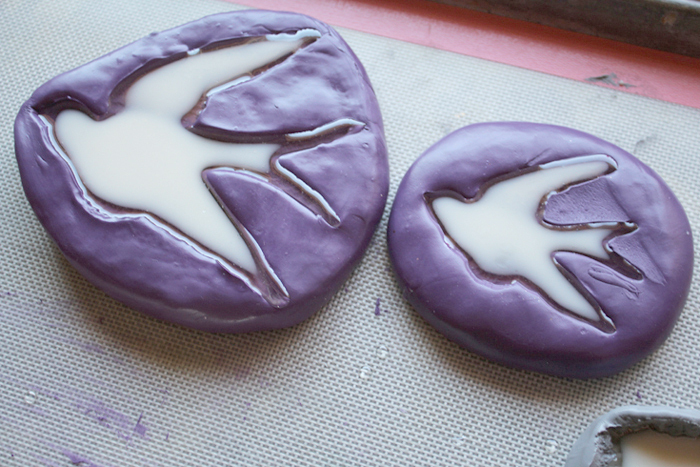 Let them set completely and pop them out of the molds. I used some tiny scissors to do some touch up work on the edges. I love the detail! It’s just like the original! 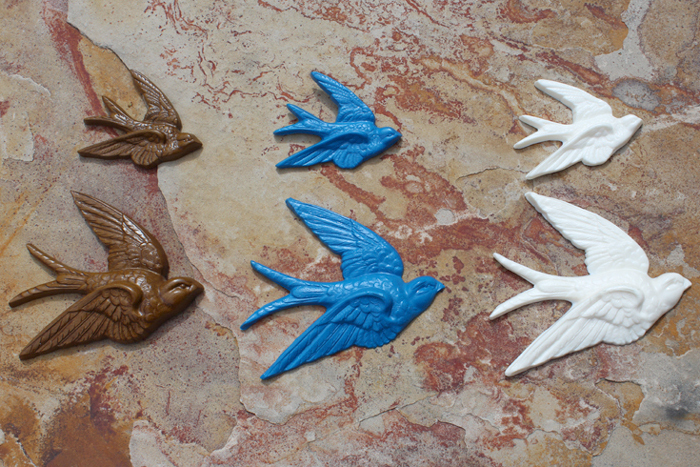 I did another sparrow set with fast cast and added a drop of green and 3 drops of blue opaque pigment dye. 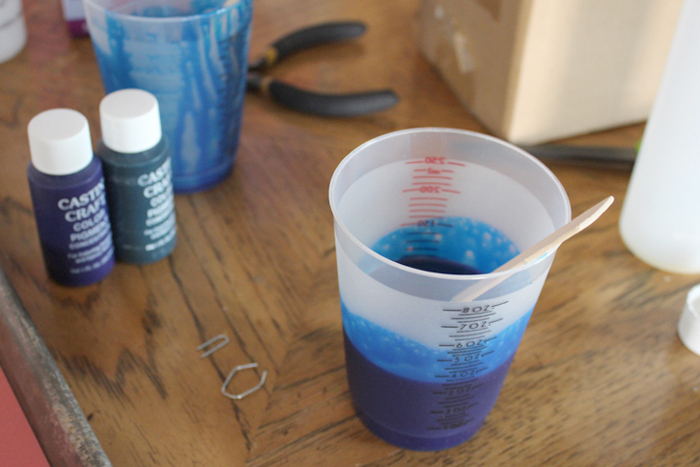 I used the same process with the stirring and mixing and pouring. Add that clip if you want to hang it. 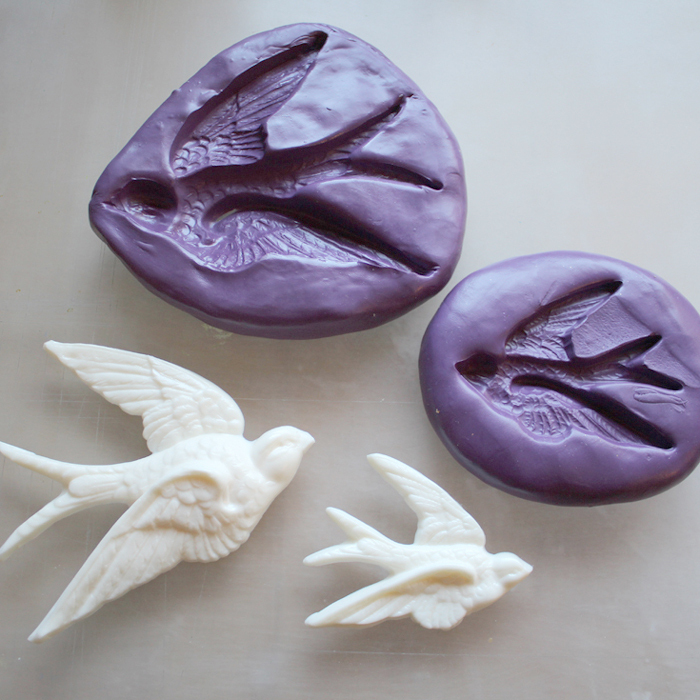 Lift the sparrow out of the mold and they are ready to hang and rival the original! Paint them any color you like too! Awesome, right? What would you duplicate? I love these sparrow hangers.